Woohoooo! Influenster is blessing me yet again with another complimentary VoxBox. Guess what I qualify for?! Well I guess I gave it away…. 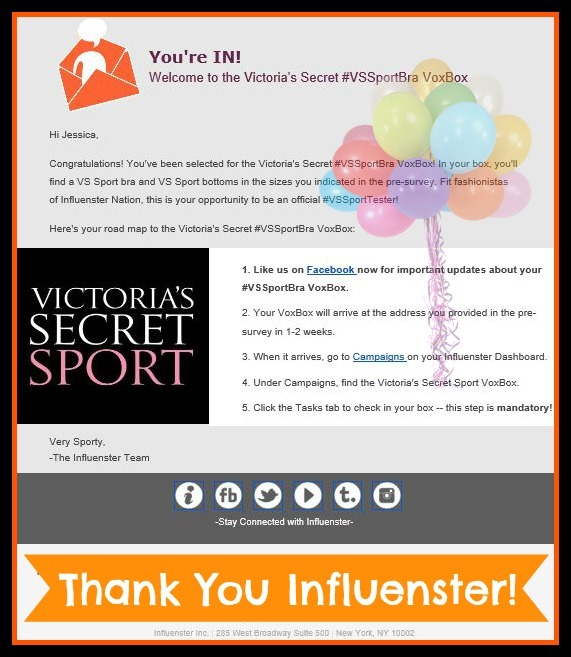 I qualify for a complimentary Victoria’s Secret Sport Bra and sport bottoms! How I feel when I open an Influenster VoxBox qualification email…. Hell yeah, practically an entire new gym outfit! I’m pretty pumped about it, this site has me so excited. Whenever I open an email like this, it’s like freakin’ Christmas came early.